Perhaps it goes with the territory, of being the little brother. 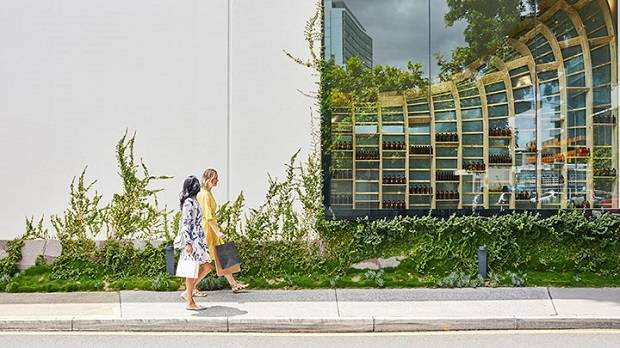 While Sydney and Melbourne bicker about everything from who’s got the bigger population, better coffee or best football code, Brisbane is getting on with life and with living. Queensland’s capital buzzes. Look up and it’s in the tower cranes; look around and it’s on the street, in the lanes and along the riverbanks. Apart from Christchurch, you won’t find a Pacific city that is transforming itself as dramatically, or as rapidly. Rewind six years and Brisbane’s prime real estate — the riverbank beneath the famed Story Bridge — was a rubbish dump of rusting, dilapidated warehouses and wharves at the end (or start) of the riverside boardwalk. No more: welcome the state’s hottest new dining and lifestyle precinct, Howard Smith Wharves. The 3.5ha, $200m-plus redevelopment is about much more than bars and restaurants. Sure, there are plenty of those: Mr Percival’s, an octagonal bar and deck sits over the water underneath the bridge. The DJ and often musicians perform, literally, on the top shelf. Felons craft brewery mashes and pours inside an 800-seat gastropub; Greca is a contemporary taverna; Toko a casual Japanese diner and Stanley a Cantonese restaurant. Incorporated are a dozen “cutting-edge event spaces” from heritage buildings to outdoor spaces nestled under cliffs and green landscapes for pop-ups, weekend markets and concerts. Event venues and a boutique hotel, too. CEO Luke Fraser emphasises that 80 per cent of the area is allocated to public space and designed to reacquaint locals with their waterfront — to walk, ride, scoot or sit and chill in the grounds. It extends beyond the riverfront, he says. “We’re part of a large-scale vision to transform Brisbane into a must-visit tourism, recreation, dining and lifestyle destination. While we’re embracing the site’s history, our focus is on creating spaces where locally made food and beverages can thrive. Even in its early days, it’s impressive. For this Aucklander, it’s a lesson in how badly our council and port company have failed us. James St in Fortitude Valley was a Mad Max landscape of car yards, decaying buildings and vacant lots a few years back. Now it’s a tree-lined, vine-laden street of vibrant architecture and life. In fashion, ambitious locals, Australian designers and international labels cluster here, names like Gail Sorronda, Natasha Schweitzer, Francis Hendrie; brands such as Camargue, Calexico, Aje, Camilla, Zimmermann; flagship stores you’ll see in malls and main streets from New York to Newmarket. Ditto homewares. Jewellery. Furniture. Decor, galleries and spas. James St is also home to some of the finest of Aussie dining — Middle Eastern-inspired Gerard’s Bistro and the Italian favourite Bucci — , alongside casual eateries and more cafes than you could shake a recyclable stirrer at. There are upwardly mobile take-home treats at the James St Market, and coffee roasters abound. For wine or cocktails Cru Bar (think about it) and Gerard’s are best. For something more relaxed head for Sixes and Sevens, a swish version of the traditional Queensland pub, or the craft-beer haven Tippler’s Tap. City-dwellers spend so much of our urban life on high streets that we often overlook the byways. Sue Hammond, from the free and highly recommended Brisbane Greeters volunteers, took me into the city’s little-known lanes. The most extensive is Fish Lane, running five blocks from the Southbank artery of Grey St deep into original suburbs. Cafes, bars, artisans, street art line the cobblestones; don’t miss Wandering Cooks, a kitchen and outdoor dining-room for food entrepreneurs and wandering musicians. Hidden near Queen St Mall is Burnett Lane, where you can kick start the day with coffee in deep, dark Brew or brighter, breezier Felix, shop yourself silly, and come back for a late-night bar hop at the same places. Next to Central Station are Gresham Lane, with its out-of-time whisky bar and contemporary food court, and Albert Lane’s global cuisines. In Fortitude Valley, two entrepreneurial brothers with long family connections to the suburb have revived three unloved service lanes that were once home to dumpsters and delivery vans. Winn Lane is now the place for bohemian boutiques, burgers and live music; Bakery Lane for fashion, craft and cafe startups; California Lane for a slightly more upmarket offering of coffee, cocktails, food and fashion. Brisbane is exciting already, but they’ve only just begun. The mega-project is the $3.6b, 27ha Queens Wharf redevelopment in the city’s heart, on the riverbank where — I’m sorry to remind them of this — history records the British convict colony was founded in 1825. It later became the heart of state government. Now, promising to “change the face of downtown Brisbane forever”, are rising a casino, hotels, restaurants, bars, outdoor public spaces and foreshore, and a new pedestrian bridge to South Bank. Scheduled for completion in 2022, the project is taking shape on the site of former government buildings between the city’s CBD and riverbank, reframing many heritage buildings. The “little brother” can often surprise everyone. I keep telling my big brothers that. has flights and seven-night stay packages for Gold Coast ($749pp), Sunshine Coast ($779pp and Tropical North Queensland ($1049), for travel on selected dates.